Certificate of participation is provided upon successful completion of the course. Please register using the name you want shown on the certificate. 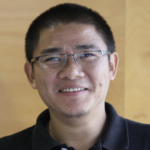 Tashi has experience in IP and transmission network design, operation, and maintenance having worked as a transmission engineer (since 2003) and IP core network engineer (since 2005) for more than a decade. He has been involved in capacity development in the APNIC community by providing technical assistance and training in number of technical areas such as Routing & Switching, Network Architecture, IXP design and deployment, Network Security, IPv6 deployment, DNSSEC, and so on. 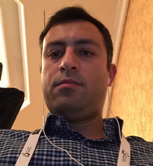 Tohid joined APNIC as a Senior Network Engineer in July 2016, he has assisted the Infrastructure Services team to operate, maintain and improve APNIC’s core network. Tohid expertise is in designing, operating and maintenance for all types of IP networks and has extensive experience in a national scale service provider network environment. Tohid’s area of expertise includes: routing, switching, data centre and security.